Description: A simple, two-column, widget-ready theme. 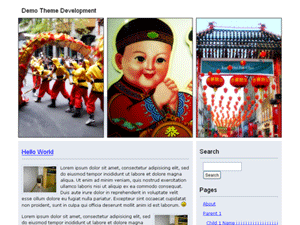 This is the 32nd theme of my WordPress a-theme-a-day challenge. I’m feeling burned out so I’ll take a break from WordPress themes for a while, also not accepting custom projects. Starting Monday, WPDesigner will be geared toward theme development tutorials.